Haiti Commerce - Pri Boutey Coca Cola MONTE 20 Goud nan Ville Hinche! 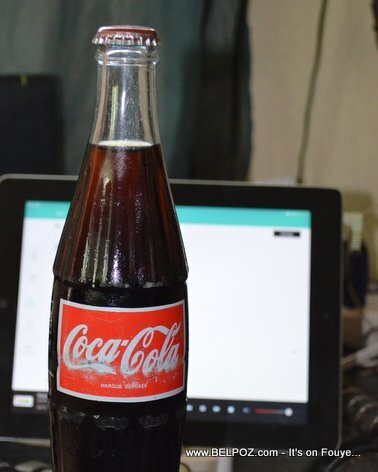 ENGLISH: In the city of Hinche Haiti, the price for a bottle of Coke has gone up by 5 gourdes, from 15 to 20 gourdes, since the rise of the U.S. Dollar last week... What do you think about that? "Yo mete yon dola (5 Goud) sou caisse la, nou mete 5 goud sou boutey la..."